The International Trade Administration and Auto Care Association are excited to announce two trade missions to Nicaragua and Honduras for 2017, as part of the Market Development Cooperator Program (MDCP) award the association received from the U.S. Department of Commerce to support export promotion projects in Latin America. Companies do not have to be a member of the Auto Care Association to apply. The Automotive Parts Trade Missions to Nicaragua and Honduras are designed to inform participants of the local market and provide access to key industry contacts. The number of mission participants is intentionally limited to ensure customized and well-targeted matchmaking scheduling. In addition, U.S. Embassy staff will provide country commercial briefings on the legalities and nuances of doing business in those markets, with the schedule rounded out to include industry-specific networking receptions and site visits. The Auto Care Association’s upcoming missions are an extremely cost-effective way to expand your business prospects in Latin America. The package includes personalized business-to-business matchmaking meetings with foreign industry executives, hotel accommodations and local transportation, networking receptions, interpreters, and country briefings. The U.S. auto parts sector continues to be one of the largest contributors to total U.S. exports. In 2016, the U.S. exported over $81 billion in auto parts worldwide. One of the promising, but overlooked regions for U.S. automotive aftermarket parts exports is Latin America, particularly Honduras and Nicaragua. Demand for aftermarket auto parts and repair services in these three markets is increased due to aging vehicles. In addition, there is a high level of used-car sales and deteriorating road conditions. In addition, these countries are Free Trade Agreement (FTA) partners with the United States, which increases U.S. market access by breaking down potential market entry barriers. FTA partnership, product quality, available warranties and geographic proximity, all contribute to the United States having a competitive advantage when entering Latin American markets. Under the Central America-Dominican Republic Free Trade Agreement (CAFTA-DR), 100 percent of U.S. consumer and industrial goods exports to the region are no longer subject to tariffs. Since the CAFTA-DR implementation, export to the region have increased by at least 62 percent. The United States is Honduras and Nicaragua’s largest trade and economic partner. For more information on auto parts exports, please see ITA’s Top Markets Report for Automotive Parts. For more information on the trade mission see www.autocare.org/trade-missions. Recognizing the opportunities for automotive aftermarket suppliers in Latin America, the International Trade Administration (ITA) awarded the Auto Care Association a three-year matching award of just under $300,000 to support activities designed to help boost exports to that region. This Market Development Cooperator Program (MDCP) has already had two successful automotive trade missions to Latin America. The first mission went to Peru, followed by a mission to Guatemala 2016. There is also an upcoming trade mission to Colombia, June 7-8 that is closed. The deadline to register for the Nicaragua and Honduras mission is July 31, 2017. The American music industry is integral to the U.S. economy and its culture. The growth of the U.S. music industry has a multiplier effect, impacting businesses in other industries, including technology, manufacturing, television, film, advertising, and video gaming. Recognizing the importance of music to the U.S. economy and its potential for growth in the international market, the International Trade Administration (ITA) partnered with The American Association of Independent Music (A2IM) in 2012. Thanks to funding from a Market Development Cooperator Program (MDCP) award, A2IM has been able to support its members’ participation in trade events around the world, generating over $40 million in business for over fifty member companies. ITA’s delegation with the Consul General in Hamburg during the A2IM Trade Mission to Hamburg. A2IM was introduced to ITA through its New York U.S. Export Assistance Center in February 2011. During the first meeting, A2IM learned of ITA’s export services such as the Gold Key, tailored business counseling and partners search, the International Buyer Program (IBP), the Market Development Cooperator Program (MDCP), and the State Trade and Export Promotion (STEP) program available to NY exporters. In the fall of 2011, A2IM embarked on its first ever trade mission to Asia (Beijing, China, Hong Kong, and Seoul, South Korea) via the STEP grant, and with support from ITA. A2IM subsequently applied for the MDCP in cooperation with The Recording Academy, and was awarded in August 2012. In 2015 A2IM furthered their relationship with ITA by becoming a Strategic Partner. A2IM’s MDCP award established and expanded trade missions for American independent music labels and created American pavilions at global industry trade shows. Since the inception of the MDCP project, A2IM member companies have taken advantage of financial assistance to attend the world’s largest music industry trade shows and participate in trade missions in key markets that were identified in coordination with ITA. MDCP award funds helped cover the travel and personnel costs needed to make these sales happen. With the first ever government assistance of this kind for the music industry, these business relationships will continue to grow, supporting U.S artists and associated U.S. businesses for years to come. The results have been extremely positive. A2IM estimates that during the MDCP program, participating member firms increased their exports by a total of over $40 million across nearly 400 export transactions. Bob Frank Entertainment and Thirty Tigers are prime examples of A2IM members who were able to achieve export success through the program. These two companies participated in major trade shows, such as MIDEM in France and Canadian Music Week, as well as trade missions to strategic markets, including Brazil. Both of these small firms were able to garner distribution and licensing agreements at these events, resulting in over $1 million in estimated new international revenue for each firm. This is a big deal for small businesses. In 2016, ITA’s Global Media & Entertainment Team, including staff from Marseille, New York and Washington D.C, provided extensive business-to-business (B2B) matchmaking and trade services support for A2IM at MIDEM 2016, the premier global B2B market place and trade show for the music industry – which celebrated its 50th Anniversary this year. There were over 200 U.S independent music firms represented in the A2IM Pavilion, with dozens of meetings facilitated during the conference. The team also provided services at the Reeperbahn Festival in Hamburg and the Amsterdam Dance Event, both growing markets for the global music industry. The American Association of Independent Music (“A2IM”) is the 501(C)(6) not-for-profit trade organization created to protect the rights, educate and promote commerce for the American Independent music label community. A2IM’s membership includes over 390 music labels of varying sizes and all musical genres across the country, plus more than 300 associated member companies that provide services to the music industry, representing the diversity of American music. Click here for more information about A2IM’s Market Development Cooperator Program (MDCP) project. Brad Hess is the Director of the Market Development Cooperator Program (MDCP). 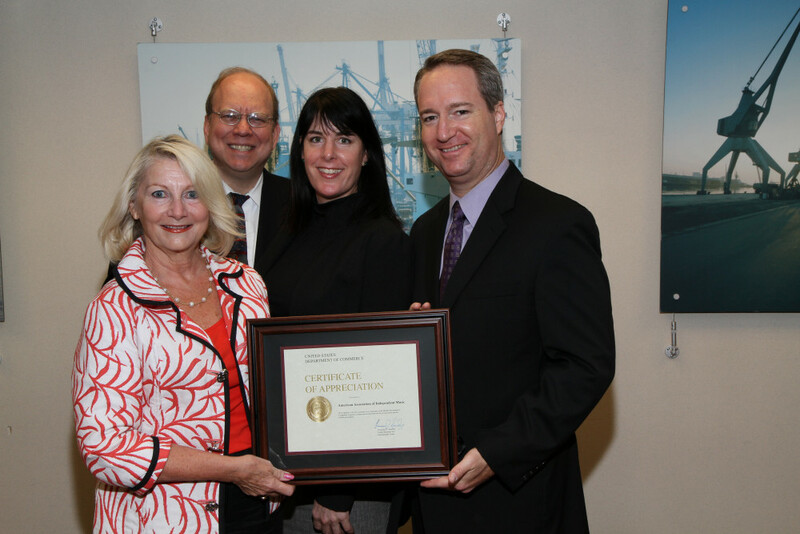 Trade associations like the American Association of Independent Music, whose representatives are pictured above with Deputy Assistant Secretary Maureen Smith (left), can receive MDCP awards of up to $300,000 to pursue export development projects. The International Trade Administration (ITA) is now accepting applications for the 2015 Market Development Cooperator Program (MDCP) financial awards. ITA’s Assistant Secretary for Industry and Analysis Marcus Jadotte announced an April 27 deadline for applications for this year’s awards. Eligible applicants include trade associations, chambers of commerce, and other non-profit industry and economic development groups. An MDCP award to such a group includes both financial and technical assistance from ITA in support of projects that help U.S. firms to export. MDCP awards are cooperative agreements. So, in addition to financial assistance, an award recipient benefits from a worldwide team of ITA professionals who advise and assist. Working together with these non-profit industry groups, ITA can help U.S. businesses, especially small- and medium-sized ones, promote and sell their goods and services to international consumers. The competing non-profit groups will propose innovative projects that generate exports that create or sustain U.S. jobs. An eligible non-profit group must pledge a minimum of two-thirds of the costs of the project and plan to continue the project after the three-to-five year award period. An individual award is limited to $300,000. The funds may be spent during a minimum of three years at a rate determined by the project. Since MDCP’s inaugural year in 1993, 136 awards have been issued. Uniform reporting of MDCP-generating exports began in 1997. From 1997 to 2014, the average annual exports generated by MDCP projects were $595million. On average, during this period, $335 in exports has been generated by MDCP projects for every $1 of MDCP award. For more information, please visit http://trade.gov/mdcp/index.html. ‘Tis the Season For a Movie! Andrea DaSilva is a Senior Analyst for Media & Entertainment Industries in the International Trade Administration’s Office of Digital Services Industries. For the movie industry, this weekend is considered the official end of the holiday season. For me, the holidays aren’t complete until I’ve caught a couple of new releases at the movie theater. I’m not alone on that; box office sales are normally higher in November and December. According to Box Office Mojo, movie ticket sales during the 2012 holiday season were more than 26 percent of total box office sales for the year, totaling more than $2.6 billion. That’s a lot of movie tickets over a two-month period! The film and television industry does more than just entertain us during the holiday season; it also supports the U.S. economy. According to the Motion Picture Association of America, the industry directly supports 284,000 American jobs in fields like marketing, production, and distribution. The industry also supports more than 350,000 jobs in related businesses, from caterers to hardware suppliers. As in other business sectors, exports are a huge contributor to the entertainment industry. U.S. exports of film and television recordings in 2012 were more than $16.2 billion. We at the International Trade Administration are working hard with the film and television industry to support U.S. exports. Our staff based at Export Assistance Centers across the U.S. and at embassies and consulates around the world, as well as in-house export programs such as the International Buyer Program and the Market Development Cooperator Program (MDCP), serve to connect American producers with global buyers, licensors and distributors. We worked closely with the Independent Film & Television Alliance (IFTA) at industry trade shows Filmart in Hong Kong and the American Film Market in Santa Monica. IFTA has been working hard to support exports of film and television products and we’ve been glad to support the organization through the MDCP. We’ll continue to work with American producers to make sure that global consumers always have access to American creative content. That way, movie viewers around the world will always be able to enjoy their favorite new films over any holiday. If you have questions about how the American media and entertainment industry competes overseas, please visit our website or contact me at andrea.dasilva@trade.gov. Posted in Service Industries | Tagged entertainment, Market Development Cooperator Program, MDCP | Comments Off on ‘Tis the Season For a Movie! John Siegmund is an International Trade Specialist in the International Trade Administration’s Office of Services. The VETEC team talked about its mission at the Association of International Educators conference. United States colleges and universities are one step closer to garnering a bigger share of the education market for Vietnamese students with the official recognition of the Vietnamese Education Training and Export Center (VETEC). The initiative is part of a Market Development Cooperator Program award (MDCP) between the International Trade Administration (ITA) and the California Education and Training Export Center. VETEC offers a broad variety of services to Vietnamese students and U.S. colleges and universities, all with the goal of increasing the number of Vietnamese studying in the United States. VETEC operates an office in Vietnam, which ITA supported with an MDCP award of $388,000 in 2011. 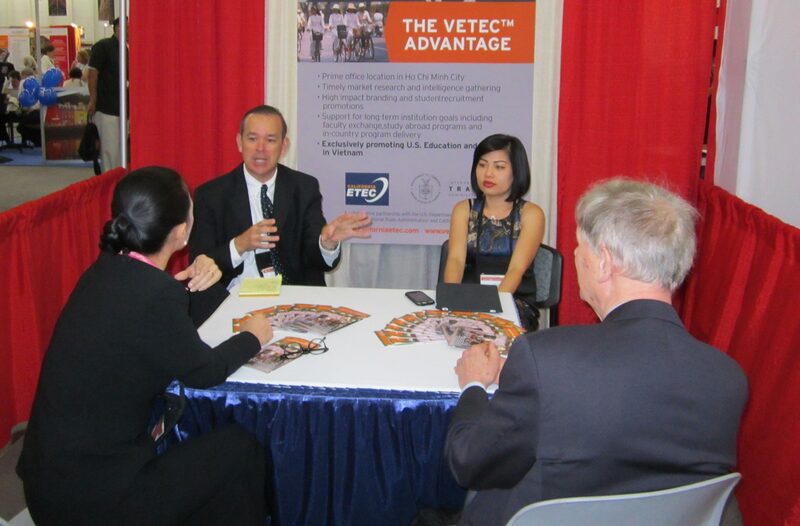 VETEC is ideally located to help both U.S. institutions of higher learning and Vietnamese students. The office will open up new and effective ways to promote the benefits offered by U.S. colleges and universities to Vietnamese students and their families. “VETEC was designed to provide U.S. schools an on-the-ground resource in Vietnam to actively engage students and parents in Vietnam,” added Matsumoto. Education comprises a large portion of American exports in the service industry. In 2012, education accounted for nearly $23 billion in U.S. exports. In 2011-2012, more than 15,000 students from Vietnam enrolled in U.S. colleges and universities, making the United States the eighth-largest host market for Vietnamese students. Vietnam’s Ministry of Education and Training (MOET) reported that as of December 2012, 106,000 Vietnamese students were studying abroad. For more information go to www.californiaetec.com and www.vetecusa.com. 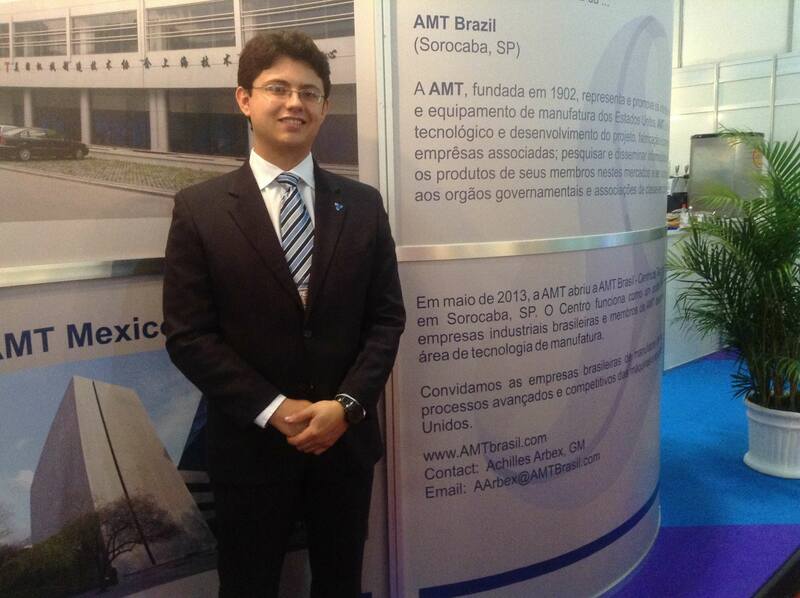 Andrea DaSilva is the Senior Media & Entertainment Analyst for the International Trade Administration (ITA). Chris Higginbotham is a Communication Specialist with ITA’s Office of Public Affairs. What are you doing with your Valentine today? Maybe a movie? Dancing the night away? Or you could be reading poetry to one another… Maybe you don’t have a Valentine but you’re doing one of those things anyway. Either way, you’re supporting creative industries that provide the United States with some of its most unique—and sometimes romantic— exports! Exports in filmed entertainment, which includes movies and television content distributed abroad, reached $14.3 billion in 2011. That includes everything from romantic comedies to game shows, war movies to animated features. This was an increase of almost $700 million from 2010 numbers. Exports in books, records and tapes achieved $1.3 billion. This category includes everything from easy listening to jazz and metal (romantic or otherwise), romantic novels to cookbooks. All of these categories include media or entertainment content that is streamed online or digitally downloaded for a fee to protect the intellectual property and copyrights of the owners and creators. The International Trade Administration (ITA) works closely with professionals in these industries to promote exports and create jobs. We’re supporting both the American Association of Independent Music (A2IM) and the Independent Film & Television Alliance (IFTA) with Market Development Cooperator Program (MDCP) awards. These are competitive financial assistance awards ITA provides to industry groups pursuing projects that will help U.S. firms export and create jobs. Whether you’re picking up the tab for your Valentine, going dutch or flying solo, don’t be a cheapskate! Make sure to show love to your date and the creative professionals in these industries by avoiding pirated content or illegal file sharing. Nothing kills the romance more quickly than a computer virus you inadvertently downloaded while stealing music from an illegal site, or if you are an artist, writer, or musician – having your works shared without getting paid. We hope you enjoy whatever entertainment you’re seeking for Valentine’s Day or any other occasion. And remember, there really is no such thing as free except for sharing romance with a loved one!